MIAMI Despite an outcry from civil rights groups, a call for close examination by President Barack Obama and even a 1960s-style sit-in at the Florida governor's office, the jury's verdict that George Zimmerman was justified in shooting unarmed teenager Trayvon Martin is unlikely to spur change to any of the nation's stand-your-ground self-defense laws. "I support stand your ground," Republican Arizona Gov. Jan Brewer said last week. "I do not see any reason to change it," said Georgia Gov. Nathan Deal, also a Republican. At least 21 states have laws similar to that in Florida, according to the National Conference of State Legislatures. 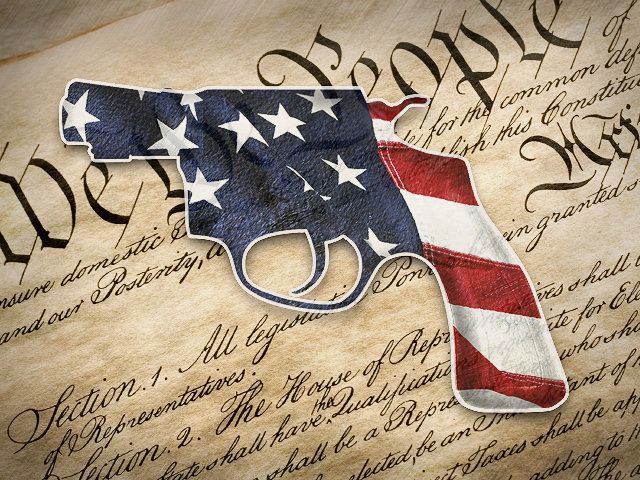 Many are conservative and lean toward laws that defend gun owners' rights. So far, there does not appear to be an appetite in Florida or other states to repeal or change the laws, which generally eliminate a person's duty to retreat in the face of a serious physical threat. In fact, some states are moving in the opposite direction. "The debate about stand-your-ground laws largely reproduces existing divisions in American politics, particularly between blacks and whites and between Democrats and Republicans," said John Sides, associate professor of political science at George Washington University. Zimmerman, a 29-year-old former neighborhood watch volunteer, was acquitted this month of second-degree murder and manslaughter charges in the 2012 shooting of 17-year-old Martin in a gated community in Sanford, Fla. Zimmerman told police he shot Martin only after the African-American teenager physically attacked him; Martin's family and supporters say Zimmerman, who identifies himself as Hispanic, racially profiled Martin as a potential criminal and wrongly followed him. Zimmerman's lawyers decided not to pursue a pretrial immunity hearing allowed by Florida's stand-your-ground law. But jurors were told in final instructions by Circuit Judge Debra Nelson that they should acquit Zimmerman if they found "he had no duty to retreat and had the right to stand his ground and meet force with force, including deadly force if he reasonably believed that it was necessary." His acquittal spurred protests in cities across the country, the biggest of which came the weekend his not guilty verdict was announced. Rallies continued even a week later; about 80 protesters and counter-protesters came face-to-face on Sunday on the streets of Houston's River Oaks community Sunday, but CBS Houston reported police kept a very close eye and things remained peaceful, although passionate. Before the stand-your-ground law was passed in 2005, the instruction would have read that Zimmerman "cannot justify his use of force likely to cause death or great bodily harm if by retreating he could have avoided the need to use that force." Since the law was enacted, justifiable homicides in Florida have risen from an annual average of 13.2 between 2001 and 2005 to an average of 42 between 2006 and 2012, including a record 66 in 2012, according to the Florida Department of Law Enforcement. FBI data have shown similar increases in some states that enacted similar laws, such as Texas, while others haven't seen an uptick. Attorney General Eric Holder, in a speech last week to the NAACP convention in Orlando, said the Martin shooting demonstrates a need to re-examine stand-your-ground laws nationwide. He said they "senselessly expand the concept of self-defense" and increase the possibility of deadly confrontations. On Friday, Obama said the nation needed to do some "soul-searching." He questioned whether a law could really promote peace and security if it sent a message that someone who is armed "has the right to use those firearms even if there is a way for them to exit from a situation." Civil rights leaders, including the Rev. Al Sharpton, said they would push for repeal of the laws, starting in Florida, where a group of young protesters occupied GOP Gov. Rick Scott's office demanding change. "If we can do it in Florida, we can affect other states," Sharpton said last week. On Saturday, Sharpton's National Action Network organized "Justice for Trayvon" rallies in more than 100 cities. In addition to pushing for federal civil rights charges against Zimmerman, the rallies attacked stand-your-ground laws. "By standing his ground, George Zimmerman was able to get away with murdering a 17-year-old black man," said Chelsea Jones, a student who spoke at a Dallas rally. "I can only imagine what the black community can achieve by standing their ground." Even entertainer Stevie Wonder has joined the outcry, vowing not to perform in Florida as long as stand-your-ground remains on the books. Sharpton suggested that the law's opponents might boycott Florida orange juice, and other groups want a boycott on the state's tourist destinations, both multibillion-dollar industries. Florida state Sen. Chris Smith, a Fort Lauderdale Democrat, said the Zimmerman verdict was a "wakeup call" that should at least open fresh debate on stand-your-ground laws. He noted that in the wake of the 2011 acquittal of Casey Anthony in the killing of her 2-year-old daughter, Caylee, Florida lawmakers passed legislation making it a felony for a parent or guardian to fail to report a missing child within 36 hours. Caylee's disappearance was not reported for 31 days. "We are calling for the same type of action," Smith said. But The Associated Press has found scant support for repeal of the laws in Florida and elsewhere. Scott told reporters Thursday that he agreed with the findings of a task force he appointed on the subject after Martin's shooting, which recommended no changes to the stand-your-ground law. Of the protesters in his Capitol office, Scott said, "I think it is great that people are exercising their voices." After Holder's speech, the National Rifle Association, which strongly backs stand-your-ground laws and holds great sway in many state legislatures, issued a statement claiming that Obama's administration was aiming more at the broader political goal of restricting gun rights. "The attorney general fails to understand that self-defense is not a concept, it's a fundamental human right," said Chris W. Cox, executive director of the NRA's Institute for Legislative Action. "To send a message that legitimate self-defense is to blame is unconscionable." In fact, in states with stand-your-ground laws similar to Florida's, the trend has been toward greater gun rights. In Oklahoma, for example, lawmakers in 2012 passed an "open-carry" measure that allows people with a concealed carry permit to now display their handguns openly in a holster. Other states have sought to expand what are known as "castle doctrine" laws -- the right to defend one's self with deadly force in the home -- to apply to businesses. New Hampshire lawmakers this year considered repealing the state's-stand-your ground law, which was enacted in 2011 by a Republican Legislature over a Democratic governor's veto. After narrowly passing the Democratic-led House in March, the bill died in the Republican-led Senate. Holder also announced this week that the Justice Department would investigate whether Zimmerman could be charged under federal civil rights laws, which would require evidence that he harbored racial animosity against Martin. Most legal experts say that will be a difficult charge to bring, leaving Martin's supporters to concentrate on trying to change stand-your-ground laws. Republican Sen. John McCain joined the call on stand-your-ground laws Sunday, urging state legislatures to review their statutes -- including the one in his home state of Arizona. "I'm confident that the members of the Arizona legislature will ... because it is a very controversial legislation," he said on CNN. Marc Morial, president of the National Urban League, appeared Sunday on NBC's "Meet the Press" and called the laws "one of the things that has incited and ignited, I believe, this movement across the nation, which I think is the beginning of a new civil rights movement." Michael Steele, former chairman of the Republican National Committee, said during the show that the question now is whether it's proper for the federal government to tell states with stand-your-ground laws how to change or remake them. His answer: "No. I mean, this is something that's going to have to be worked out state by state." Charles Ogletree, a Harvard Law School professor who taught both Barack and Michelle Obama, agreed: "The reality is that this is not a federal issue. This is a state issue."